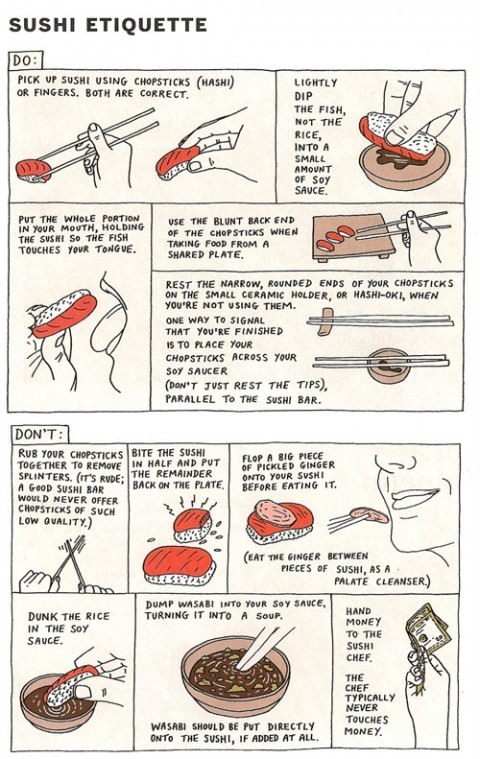 Yes, there is a right way and wrong way to eat sushi. To avoid any future embarrassment, follow the instructions below. Swiss Miss posts this nicely illustrated guide, via Jeni Rodger.